I have a friend. My friend has a boyfriend. It was my friend’s boyfriend’s birthday. My friend’s boyfriend, who’s birthday it was, is a massive fan of Evil Dead (I say this because he is actually humongous). 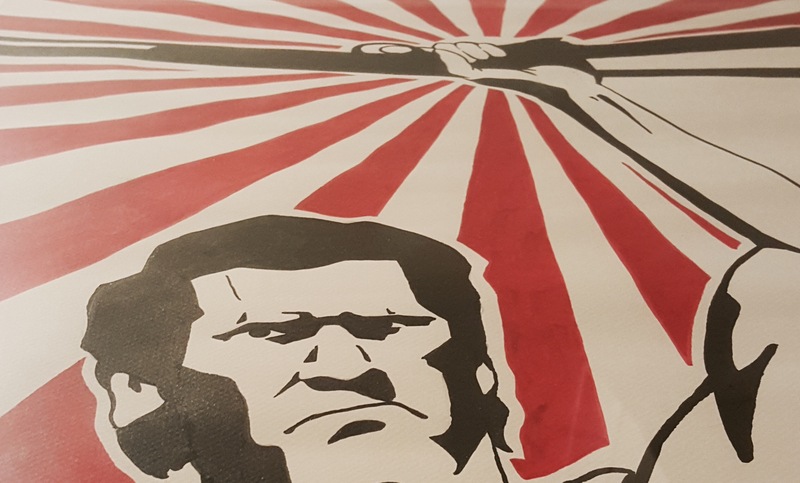 My friend, who has the humongous boyfriend, also has a little collection of little communist propaganda posters on the wall at home (you know, reds above the bed). This friend wanted a birthday present for the boyfriend… A gift that was a little Evil Dead and a little Evil Red. It was a great commission to work on for an artist who also loves the Evil Dead films and it was thrilling working in this stark graphic style only using black and red ink and the beige of the thick paper. The commission was a huge hit with the humongous boyfriend. The sizeable painting sits in well with the little posters and all of this was painted before we knew of the Ash vs. Evil Dead series being released, which all 3 and a half of us are very excited about. 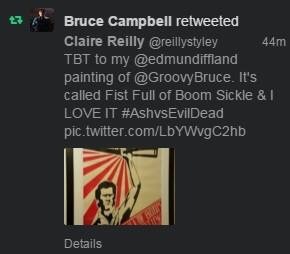 So excited in fact, that my friend tweeted this photo of the painting to Bruce Campbell himself, which he retweeted, which then caused my gmail inbox to go from 0 to 60 emails in 5 minutes with favourites and retweets. 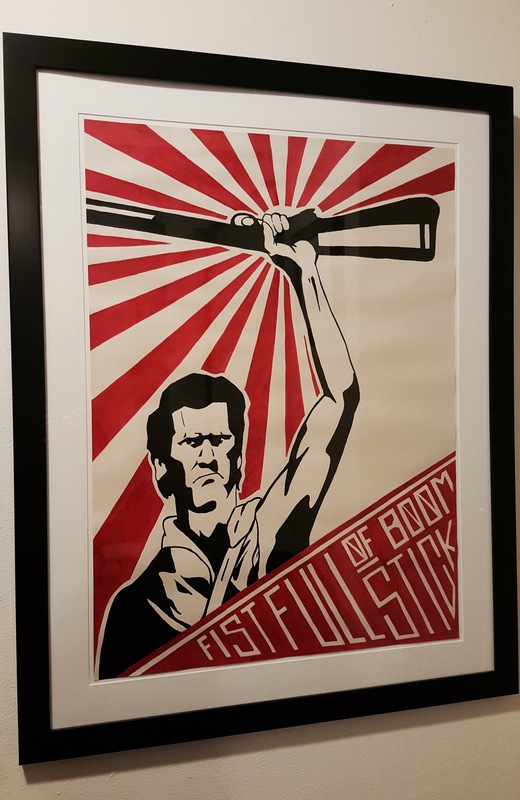 And for a guy who loves a good pun, why wouldn’t I title the artwork “Fist Full of Boom Sickle”? It’s the B grade schlock horror story that won’t die… And I hope it never does. Edit: my humongous friend is a tall muscly rugby guy… Not ‘the blob’ or anything.